It is too hot to sit out by a campfire in these parts (actually, no campfires allowed) and too hot to turn the oven on in the house, but you can still have s'mores. 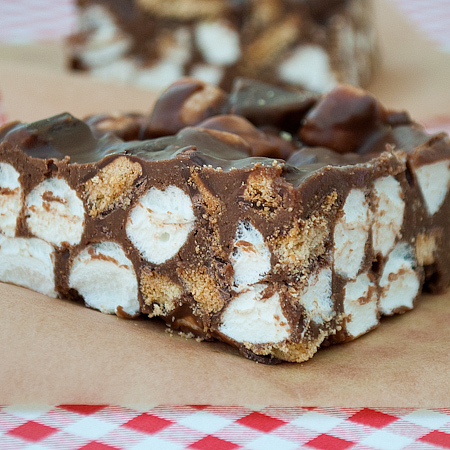 Real Mom Kitchen has a recipe for no bake s'mores bars that look no joke delicious. Don't they look good. I am thinking fudge made this way would be good! !